The Internet of Things has already impacted our lives significantly, radically transforming the way businesses operate, healthcare is provided, and so on. 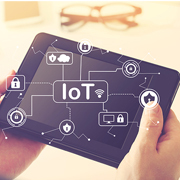 IoT technology has rapidly advanced in the past few years, and the connected devices that hitherto had only limited functionality, are today able to accomplish a great deal more. Wherever there is voluminous data, there is a high risk of that data being sabotaged; in spite of that, IoT proliferation has increased by leaps and bounds. Industry experts and market research companies like Gartner, IDC, Forbes, and ABI, etc., predict that anything between 20 to 50 billion devices will be connected by 2020, and that investment in IoT systems and devices may be in the $250 billion+ area. Though the consumer IoT market has seen tremendous investment in the past 4-5 years, recent failures like Lily Robotics, Juicero, and so on, have put a damper on the party. Alex Kubicek, CEO of Understory says that we are likely to witness a shift of focus to industrial IoT, with companies looking to build innovative infrastructure, like Veniam and BetterView, getting the most benefit. With capital expenditure of deploying the technology plummeting, we may well see IoT being utilized to resolve problems in agriculture, transportation, telecommunication, and insurance. Considering the present IoT capabilities of focusing on applying processes and technologies, providing rapid responses to the dynamic security environment is becoming increasingly easy. According to Mike Ahmadi, Global Director, IoT Security Solutions at DigiCert, IoT professionals are now thinking about long-term management and deployment of systems and devices. Regulators are also considering how IoT product developers will handle the situation if the seemingly foolproof cybersecurity measures fall short. We already saw the malware that affected IoT devices in 2016, and the crisis that the world faced consequently. Ahmadi says that it is difficult to recover the cost that developers would incur in implementing high security in consumer IoT devices; this means that they have poor motivation to ensure security and may compromise security to cut costs. This in turn means that it may become necessary to introduce regulations to make it mandatory. We may soon see the governments of the EU, US, Japan, and China recognizing these threats and making security implantation mandatory. Sanjay Malhotra, co-founder of Clearbridge Mobile predicts that smart home technology will continue to grow, and homes will get more interactive, with devices communicating what needs to be done to humans rather than the other way around. He expects a steadier rate of growth rather than the explosive growth, we have witnessed so far. He also says that many companies are struggling to deal with security and fragmentation problems as of now, and that they will need to resolve them first. Devices used by civic authorities to gather information and catch errant motorists and troublemakers, like video kiosks and surveillance kiosks, will be connected to the internet. Their functionality will be increased, and their scope of error decreased. Smart homes are already gaining popularity and becoming commonplace rapidly - the smart home industry is slated to touch the $ 50 billion mark by 2020. Already, Singapore, Seoul and Boston have invested IoT for turning their cities smart. Entrepreneur and inventor Kurt Uhlir says that it will go a step further from smart cities, and we may have responsive cities, with less traffic congestion, enhanced safety and increased sustainable development. The CTO of Arundo Analytics, Dr. Jeff Jensen feels that since data leaks are on the rise, we can expect a heavy focus on innovative methods for secure sharing of data - probably using tech like blockchain. He also fees that more industrial organizations will include machine learning model predictions in their operations to minimize downtime. He expects that machine learning will become increasingly automated, with auto ML toolsets gaining popularity. Companies will connect even more large capital assets to the cloud. To enable machine learning at the edge (source - close to the connected devices) and in the cloud, data will be retrieved from historians and integration with legacy systems will be carried out. Several IoT experts predict that a greater number of cars will be connected to the internet by 2020, with inbuilt internet services that enable it to be driven automatically, as well as increase the car's functionality. We have seen that Google is already testing self-driven cars. Though the technology is still evolving, it may be perfected and commonplace in two years' time. Providing security to IoT devices necessitates more than simply securing only those devices; you need to build security protocols in the software apps, as well as the network connections used to connect those devices. Where till now, we only had to worry about malware on our computers and recently mobile devices, we now must protect our home, car, appliances, wearables, health monitors - basically any everyday gadget that's connected. Any device can be hacked and is a potential security risk. Ian McLarty of Phoenix NAP predicts that this will spur the growth of computing at the edge. Undoubtedly, the IoT market is poised for rapid growth in the future, with more and more platforms entering the fray. Though this scenario could still be some years away, we may well see the day when there are more computers and computing capability at the edge than in data centres. Crowd Machine CEO Craig Sproule believes that the biggest threat to IoT is not external, but internal: the lack of cooperation amongst industry players in the creation of a unified framework for IoT. Companies have spent innumerable hours in re-inventing the wheel; without a centralized, shared platform, and working in isolation, many players developed very similar solutions - much to their dismay. This lack of cooperation has thrown up challenges of integration, and hampered adoption of IoT technology and solutions. Consequently, the immense potential of this powerful technology has not yet been unleashed, and confusion reigns. Sproule predicts that the adoption could be hastened via blockchain. This could enable developing apps with high-performance thresholds and support the data-intensive processing. As an ISO certified company with nearly two decades of experience in software development, Outsource2india makes sure to stay on top of technological innovations. Our team of qualified engineers and developers have been upgrading their IoT skills continuously, allowing them to deliver cost-effective IOT as a Service to customers worldwide. Hope you liked reading about the latest trends in IoT and want to leverage its potential for your business growth. If you're looking for a dependable and trustworthy partner for your IoT needs, you have come to the right place. Get in touch with us to learn how we can help you implement IoT to improve business processes, reduce downtime, enhance productivity, and boost revenues.